This edited collection of essays on Shakespeare includes writings on Shakespeare in his time, in our time, and in the future. 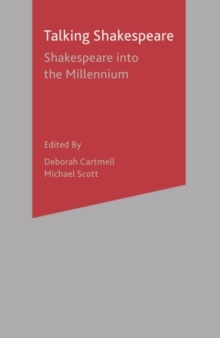 It looks at why we talk so much about Shakespeare by considering the dominant views and theories on his work at the beginning of the new millennium. Essays included examine topics such as touring practices in Shakespeare's day, the history of the Royal Shakespeare Company, Shakespeare in relation to his contemporaries, Shakespeare and homoeroticism and Shakespeare and the future. Talking Shakespeare, as its title implies, focuses on the reciprocal relationship between past and present, the way Shakespeare talks to us, the ways in which we talk about Shakespeare, and the way in which Shakespeare, ultimately, is 'all talk'. Indeed the approach employed throughout the book is a consideration of the ways in which the past informs the present as well as how the present informs the past. 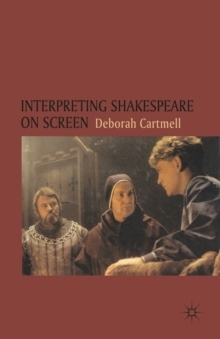 The book takes a multi-disciplinary view of Shakespeare, looking at how Shakespeare is 'talked about' in the fields of English Studies, Performance Studies and Cultural Studies. 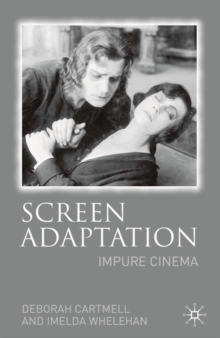 There is also an appendix surveying material available on Shakespeare in the electronic or 'virtual' library. Pages: 253 pages, IX, 253 p.